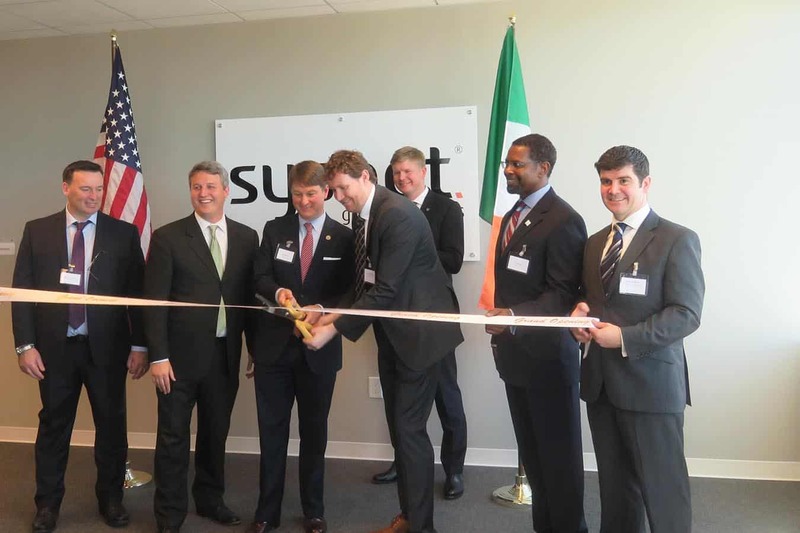 On March 9th 2017, we officially launched our new US Customer Contact Centre in Atlanta, Georgia. Both Commissioner Pat Wilson of the Georgia Department of Economic Development and Gabriel Moynagh, CEO at Sysnet cut the ribbon to officially launch the opening of the new centre. The launch proved to be a great success and was attended by many of our clients and partners. In his speech to attendees, Gabriel commented that Sysnet are currently the number one provider of PCI Level 4 compliance solutions outside North America. And that, thanks to the ever increasing confidence our clients have in our ability to deliver on a global scale and anticipate changing market needs, we are on track to be the number one global provider by end of 2017. As with our Dublin, Ireland based Customer Contact Centre, our US center will operate on a 24/7 basis and provide multi lingual support. Through our multi-channel contact services centres in Dublin, Ireland and now Atlanta, Georgia we deliver exceptional contact centre services. Our centres provides flexible, on-demand services to help you meet your business objectives. Using a combination of outstanding people, best-in-class technology and quality assurance programmes we make sure that our clients’ campaigns outperform each time. Want to know more? Click on the button below and complete the form for a member of our team to contact you. This entry was posted in News, Uncategorized and tagged Atlanta, contact centre, launch, Pat Wilson, Payment Card Industry Data Security Standard, PCI DSS, Sysnet Global Solutions, US.